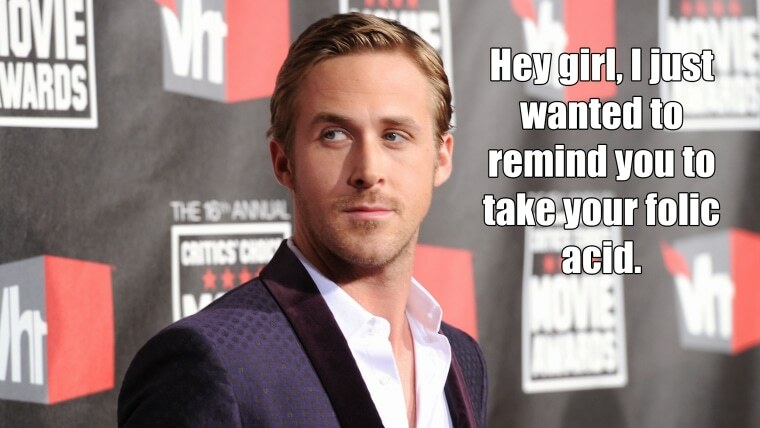 Hey girl, we know you're disappointed about the rumors that Ryan Gosling is having a baby with Eva Mendes. Sep. 16 update: They had the baby! But look at it this way: Your fantasy boyfriend can be as supportive during pregnancy as the Internet imagines him to be the rest of the time. Gosling has said he doesn't think the "Hey Girl" meme is about him. "I think it really is sort of like, I'm a pigeon and the Internet is Fabio and it just happened," he told The Hollywood Reporter, referring to a famous crash the male model had with a bird. We think that's just Gosling's funny way of saying it's not about him, it's about you. Hey girl, get ready for some foot rubs and ice cream. Those cankles are looking fine. Lance Booth, Lisa Tolin, Rebecca Dube, Agnes Pawlowski and Kurt Schlosser contributed to this meme.